Many women seem to think that slathering on any moisturiser before going to bed will solve all their skin problems. Nothing can be further from the truth. Proper skin care requires a lot more than just an application of moisturiser. You have to follow a fairly strict daily regimen to derive the best benefits of any routine. A regimen that takes but a few minutes of your time but which, if done properly, will give you tremendous benefits. Five minutes and four easy, pleasurable steps! That's all it takes to make your skin glow! Ready? Begin with steam. Ideal time for steaming your face is bedtime when you are ready to get rid of the dirt and grime accumulated during the day. Use a facial steamer for proper steaming. Don't have one? Never mind. Soak a washcloth with steaming water, wring it lightly and hold the cloth close to your face. Steam the face for about 1 – 1½ minutes. Feel the steam entering your pores and opening them up. Done with steaming? Get ready to cleanse your face. Splash warm water liberally. Take a generous amount of face cleanser into your hands, mix it with a little water and work up a lather. Massage this into your face using your fingertips in a circular motion for 30 seconds. Include your neck in this massage. Rinse with warm water and gently pat your skin dry with a soft towel. Remember to avoid massaging the delicate area around your eyes. The next step is toning. What you need to use here is an alcohol-free toner as the ones that are alcohol based have a drying and damaging effect on the skin. Dampen some cotton in the toner and gently wipe your entire face and neck. With this step, you will be rid of any residue dirt that might have escaped the previous steps. It also helps to close your pores and prepares your skin for the next step. After this step, you will find that your face is quite squeaky clean. The last step in your beauty regimen is moisturising. Take a small amount of moisturiser and apply it in a circular motion on your face and neck. Take care that you do not over-apply as that might cause more harm than good. It is only if the previous steps have been diligently followed that you can expect the moisturiser to do its work which is to condition, moisten and protect your complexion. With this final step, you can rest assured that you have completed your daily skin care regimen. You realise that you have but spent exactly 5 minutes of your time but those 5 minutes are an investment towards making your skin glow with good health even as you grow older. You have, in fact, invested in a lifetime of beauty for yourself. 1. Go retro with an old-school home remedy: cool (but not cold) milk compresses. The proteins in milk give skin a protective coat that prevents water evaporation. The skin needs moisture for the healing enzymes to work properly. These will soothe skin and take the sting away. 2. Take ibuprofen (400 mg every four hours) until the redness goes away. Just as this anti-inflammatory can minimize the swelling of a sprained ankle, it can reduce the inflammation of burned skin. 3. Speaking of anti-inflammatory agents, you can also start drinking green tea or pomegranate extract or juice. Both have soothing anti-inflammatory benefits - better yet, they're both strong antioxidants, which means that they can help mitigate some of the unseen damage that UV exposure is doing to your sunburned skin. 4. In fact, you can't get too many antioxidants, particularly when skin has taken a UV beating. Be sure to eat three servings of fruits and veggies every day (particularly antioxidant powerhouses like berries) to prevent damage. 5. Topical antioxidants are another important healing tool. (They're important all the time, but even more essential when you're healing from a UV boo-boo!) For your face, try antioxidant-rich moisturizers like Topix Replenix Cream CF, RevaleSkin Coffeeberry Day Cream, Eucerin Q10 Anti-Wrinkle Sensitive Skin Lotion, or Aveeno Ultra-Calming facial moisturizers. More and more body moisturizers, like Nivea Body Skin-Firming Lotion and Topix Citrix Body Lotion, also include antioxidants. 6. Don't forget the old post-beach classic: For the first days of discomfort, use a topical product with aloe, an anti-inflammatory standby, to soothe and cool sunburned skin. Sea and Ski's After Sun Therapy is my personal favorite. 7. When your skin begins to peel, moisturize, moisturize, moisturize - at least three times a day. 8. But as tempting as it can be, do not pull off flaking skin, which can exacerbate the peeling. Let it fall off naturally. 9. Also, do not exfoliate or use glycolic acid, retinoids, or salicylic acid (a.k.a. beta hydroxy acid) until all peeling has stopped. Your skin is too delicate during the peeling phase to use these ingredients, which accelerate cell turnover (a process your body is already taking care of naturally). 10. The most important thing you can do, of course, is make sure that you never get sunburned again! Now's the time to pick up a good broad-spectrum sunscreen (that's one that blocks both UVA and UVB, the two types of ultraviolet light that can damage skin) like Neutrogena Dry-Touch Sunblock or Aveeno Continuous Protection Sunblock. And don't forget to reapply often - sunscreen is not a once-a-day proposition! You'll need to slather it on every hour that you're in direct sunlight, or after swimming or sweating heavily. You don't need to buy expensive beauty products for adequate skin care.The best of skin care products are often found right in your kitchens. Here are a few simple ways of taking care of your skin the natural way. Wash your face with cold water. Pour a few drops of rose water onto a wad of cotton and rub on your face. It works as an excellent skin toner. Cucumber juice applied on your skin once a day leaves your skin clean and glowing. day? Mix ice water with lime juice and wash your face with it thrice a day. Revel in the difference. A word of caution though - make sure this concoction doesn't go into your eyes. It could also sting at open pimples and acne spots. Mash a tomato and apply on face for about 20 minutes. This helps alleviate sunburn and keeps the skin glowing. However people with sensitive skins should be careful about using the pulp of tomatoes. Their skin could start reacting adversely. Egg white applied on the face and neck will help keep the skin young and supple. You must be careful not to let egg white get on to the skin under your eyes. People with dry skins are advised against using this recipe -as it could make their skins even more dry. Dip cotton in ice cold milk and place over your eyes. It helps dark circles fade away. It also helps refresh your eyes. People wearing glasses or contact lenses should remove them before trying this recipe. Found in your own kitchen is a simple, chemical free cleanser – good ol’ unboiled milk. All you need to do is dip a piece of cotton wool in milk and wipe your face with it. It also cleans unseen dirt and goes down into your pores. Another fine cleanser is almond oil, especially effective in protecting the delicate skin under the eyes. It’s summer time. Time to cool off. So let’s wind up with a good home-made sun-protection lotion. Take cucumber juice and equal amounts of glycerine and rose water and make a concoction. This should be refrigerated. Try it, it’s really cool. * A bit of exercise and good sleep are vital, not just for skin care but for your health as a whole. A shortage of sleep can lead to formation of wrinkles below your eyes and lack of exercise can cause your skin to slack. Furthermore, exercise and sleep also help in beating stress. In addition to being a skin care tip, this is also a health care tip. * Drink plenty of water. Adequate amounts of water not only keep your skin moist, but can aid in the overall maintenance of your skin and body health. While this step doesn't seem like much of a challenge to some, it's one skin care tip that's often overlooked. * Eat a healthy diet with lots of fruits, vegetables and leafy green. Good nutrition is the basic building block of healthy skin. * Be gentle with your skin. After all, it's the only skin you have, and it is protecting your entire body. Don't scrub too harshly or exfoliate too often, and don't overdo your use of skincare products. * Keep it clean. Cleanse your skin at least once or twice a day. This is a very important skin care tip that will help to rid your skin of dirt and bacterial elements. Cleansing is particularly important when you have been away from home and exposed to pollutants, dust and debris. Another good skin care tip is to use lukewarm water for cleansing, as water that's too hot or too cold can damage your tender skin. * Screen your skin. Always use sunscreen to shield your skin from the sun's harmful UV rays. Use moisturizers containing sunscreen every day, even when the sun is not shining. It's been proven that UV rays cause skin cancer, so you can't afford to skip this tip. *Throw away the soap and use quality products that are right for your skin type. Discuss your home skin-care routine with your esthetician. * Remember to put sunscreen on exposed areas like the back of your hands, neck and chest. They're often the first place to show your age. * Keep your skin moisturized at all times. The importance of moisturizer is one of the most important skin care tips. Don't allow your skin to get dry. Dryness causes the outer layer of your skin to crack, causing a rough and unattractive appearance. Try moisturizers and emollients. Moisturizers work best when applied while the skin is still wet. * Avoid putting soap directly on your face. Soap should only be used on skin below the neck. * Treat skin problems with care. This skin care tip is all about not ignoring any skin problems. Consult your dermatologist before you try a new skin care product (lest you do end up harming your skin even more). Needless to say, alcohol, smoking and drugs are not really the way to having great skin. If you are fond of any or all of these, you know why your skin looks so unhealthy. Here are a few solutions sent by our readers to the very common blackhead problem. Take some Milk of Magnesia and spread a very thin layer on the problem areas. Allow it to dry naturally. Feel the skin tightening. It will act like a mask even while all the blackheads are extracted. Once totally dry, wipe off with a soft, damp cloth. Or simply wash it off. Look into the mirror – all the blackheads GONE! Sandalwood powder which is generally available in all Indian stores is excellent as a blackhead remover. Make a thick paste of sandalwood, mixing it with enough water. Spread this on your face covering all the blackhead areas thoroughly. Rinse off with cold water and feel your skin getting invigorated and thoroughly cleansed. O this at least once a week for best results. Get some chickpea powder available in all provision stores. Use it to make a thick paste and again spread it all over your face. Rinse off after ten minutes. You will be amazed at the result. Best of all, no side effects! Try dabbing the problem areas with white toothpaste at night. Leave it on all night and in the morning wash it off with cold water. Rub the face softly with a slice of cucumber and feel the freshness. This works well for oily and acne prone skins, but it is to be avoided if have dry skin as toothpaste is abrasive and may cause dryness problems. If you have oily skin and are prone to pimples and blackheads, there is a fairly simple solution. Wash your face with warm water which will help to open up the pores. Crack an egg and take out the yolk and the albumin. You will notice a thin, translucent skin-like layer next to the shell which serves to remove all impurities from the egg sac. You will be surprised how well it performs as a cleansing agent for your facial skin in removing the dirt and blackheads! Method: Place the inner layer (not the side towards the shell) of this thin skin on the problem areas of your face using it as you would the commercial pore strips. Allow it to dry and then wash it off with warm water. You will find that the blackheads have been removed and that all he oil and dirt has gone as well! Point to note here is that desi eggs have a thicker layer and is easier to use than the commercial variety of eggs. Strech mark removing is not possible, but if u do regulor massage of that part it'll look better. *Potatoes grated and applied on affected area can cure pimples. It is also effective on curing boils, whiteheads, blackheads, and other skin blemishes. *A powdered pomgranate skin & roasted paste mixed with lime juice can treat pimples effectively. This mixture could also treat whiteheads, blackheads, and boils. *To prevent pimples, apply on the face mixture of fresh fenugreek leaves and water. Wash it on the next day with warm water. *Mix an equal amount of groundnut oil and fresh lime juice. Apply it on the affected area. Wash it off after about 10-15 minutes. It also prevents blackheads. The Darkest Skies Have The Brightest Stars! 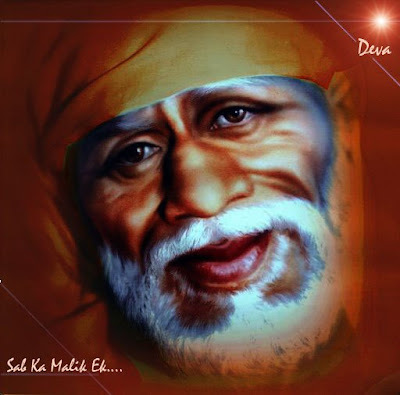 Before Asking Sai That What He's Doing To Keep Us Happy,Ask Yourself That What You Are Doing To Keep Sai Happy?! You Are The Cutest Sai!! Page created in 0.532 seconds with 69 queries.